“Far from being a field reserved for analysis by specialists, languages lie at the heart of all social, economic and cultural life. That is the meaning of the slogan launched by UNESCO for the International Year of Languages: Languages matter!” said UNESCO’s Director-General Koichiro Matsuura in his special message for International Mother Language Day. Vital carriers of the identity of groups and individuals, languages are not all treated as equals. It is estimated that more than 50% of some 6,700 languages spoken in the world are threatened with extinction in the long term, and on the average of every two weeks, a language ceases to be spoken. 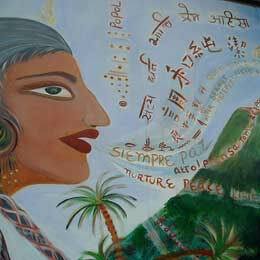 According to experts, 96% of languages are spoken by only 4% of the population. This year, the Day will place special emphasis on international standard-setting instruments related to multilingualism. A seminar, organized jointly with the Council of Europe, will be held at UNESCO Headquarters on 21 February. Legal instruments such as the European Charter for Regional or Minority Languages and the 2003 Convention for the Safeguarding of the Intangible Cultural Heritage will be examined. Linguistic policies put into effect on the African continent or in countries like Hungary and Paraguay are also on the agenda for discussion. UNESCO proclaimed 21 February International Mother Language Day to stress the importance of linguistic diversity and promote the use of mother languages.